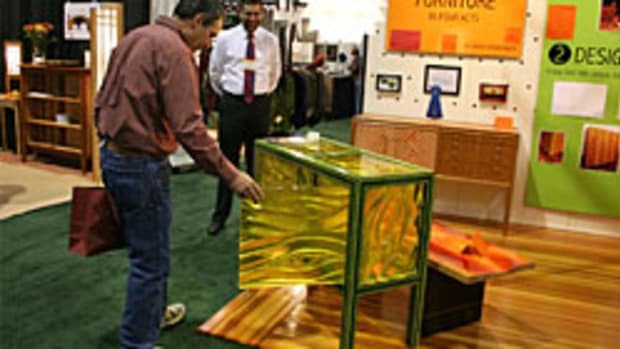 Producer KL Communications is collaborating with the Green Design Center and Charles Allis/Villa Terrace Art Museums for the 2012 Milwaukee Fine Furnishings Show. The Green Design Center is a source of environmentally-friendly home improvement and building products. “For many years, we have supplied materials to some of the biggest names in the sustainable furniture industry such as El Furniture, Wiggers Custom, Cisco Brothers and Q Collection. With attendees ranging from furniture makers and interior designers to homeowners and art aficionados, the Fine Furnishings Show is the perfect venue to display the healthy, common sense materials that we offer at the Green Design Center,” owner Andrew Pace said in a statement.